This great value twenty-four pen box Brights Set contains a spectrum of colors in Bright shades, ensuring that you always have colors which work together. 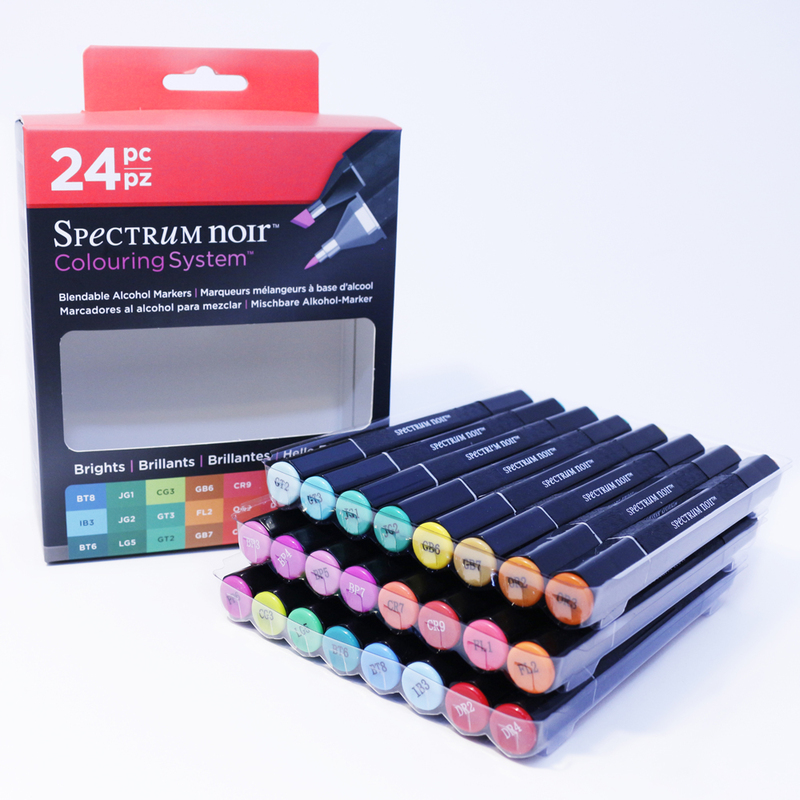 Spectrum Noir markers are available in 216 color shades including a colorless blender (Essentials Six Piece Set). The colors blend seamlessly, and can be mixed or layered over each other. For stunning results use with our Ultra Smooth Premium White Card Stock, which is perfect for use with alcohol based pens.